Aside from natural disasters, there are many other reasons that companies and businesses should require a disaster recovery plan in the event something may occur. In the corporate world, there is an increased reliance on computer networks, databases and online services more than ever which adds a great deal of vulnerability and potential for loss of data. There may be a disaster in the form of an unexpected virus, network outage, internet outage, or malfunctioning equipment at any moment in time. A company or business can not expect 24/7 access to these online services without some risk for disaster at some point. Luckily, there are several ways any size company or business can recover through business communication products and services. 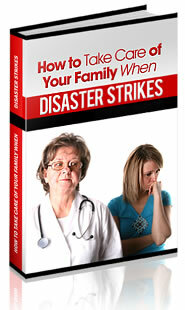 • Minimize the physical and financial damage caused by the unplanned event or disaster. • Restoring business operations immediately. • Protect vital resources such as equipment, data and documents. • Consider Your Risks and Identify threats. • Determine the impact of being out of business for X amount of time. • Identify Key Suppliers and Customers. • Find an Alternate Location. • Protect Your Important Data by Taking Preventative Measures. • Put Your Plan on Paper. • Develop an Escalation Plan. • Practice and Update the Plan. Even though there have been public disasters in recent years, according to the disaster recovery site, only approximately 50 percent of companies say they have a disaster recovery plan in place. However, it is typical to spend up to 25 percent of your IT budget on disaster recovery plans. Companies and employees can reap the benefits of a disaster recovery plan and eliminate the headache when any data is lost. With a recovery plan, businesses will be sustained and revenue will not decline as is usually expected after a crisis. It can be very common to go out of business as a result of not having a recovery plan. According to industry analysts from 4 Service Inc., two out of every five businesses that experience disaster will go out of business within five years. Most importantly, everyone wants to avoid the potential failure of the business in the face of an unforeseen, catastrophic event! As you can see, it is definitely a smart idea to have a plan in place in order to provide security and prevent stress because of financial loss!